Is the new challenge, this fortnight, at FSC. And the weather is perfect! it reminds me of it. I have kept this card pretty simple using different stamps from all over the place. Not even any masking…just ‘pot luck’ with random stamping. And another card for my ‘male card’ collection – and that’s a bonus! as I am still enjoying these paints and what you can do with them. I did experiment with some other backgrounds, but I liked this one the best. I have coloured the border using Bister and water mixed together on my craft sheet. From rain or snow, to soaring heat…and anything in between. 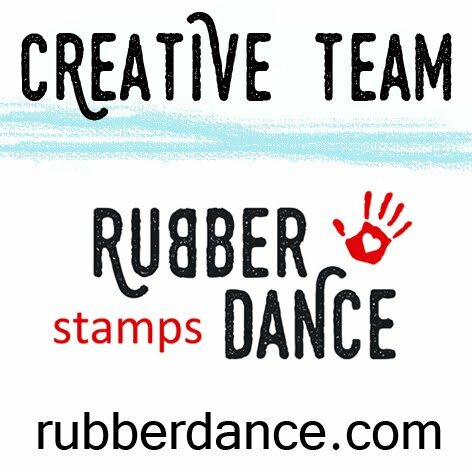 Remember, stamping must be the focal point of your creation…and then just follow the theme and you are win with a chance of winning! Fabulous card! Love the Bister background and great combination of all those stamps! One layer cards are super cool to make and this one is brill. Love the scene, total peacefulness plus those wading birds just look so adorable. Gorgeous card Dot, if only my random stamping could be as good. A gorgeous one layer card, the scene is a picture of calm and tranquility. Wonderful scene with a gorgeous background! WOWWW, what a beautiful scene on the great bister background. That's a beautiful card, fabulous scene.